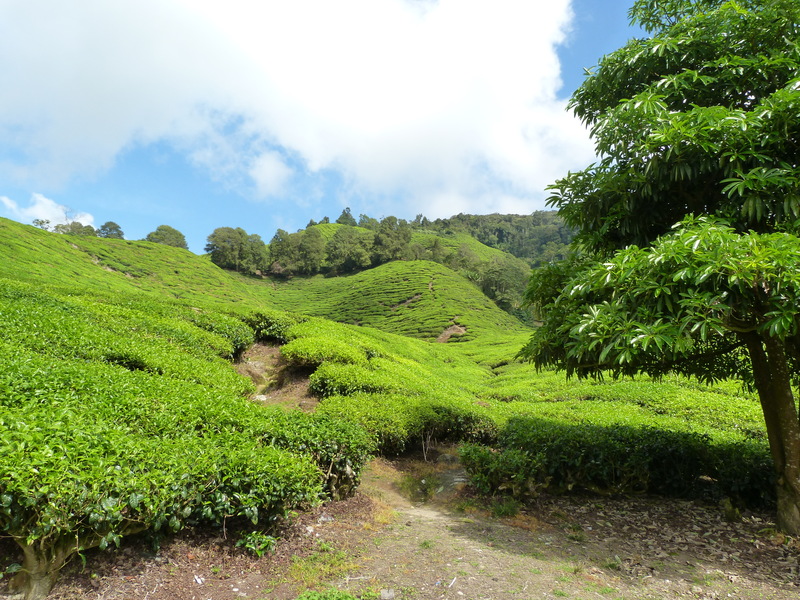 During our recent stay at Cameron Highlands we payed a visit to Sungai Palas Tea Plantation – a must for everybody who is in the area. Sungai Palas has a long tradition that goes back to the late 1920s. 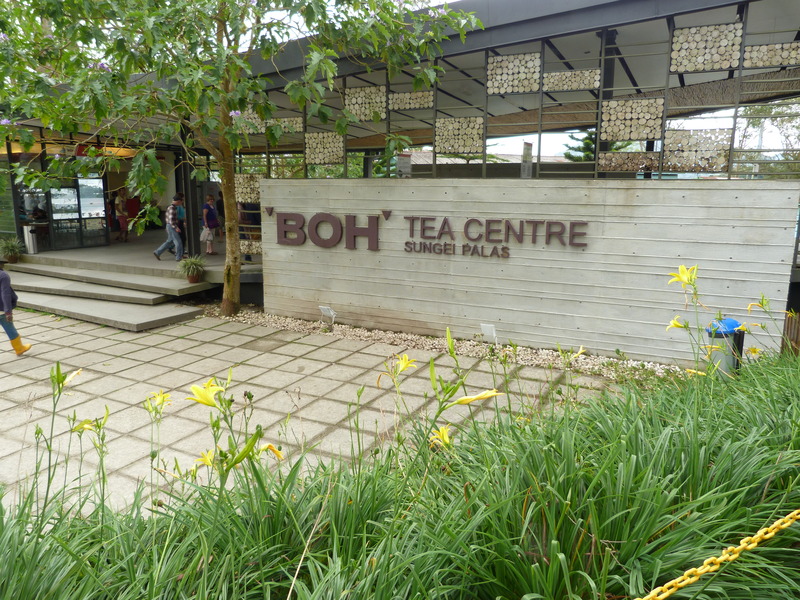 Since then tea has been grown on the estate which is closely linked to the name “BOH” (Malaysia’s biggest tea brand). Getting there is a bit of an adventure. A narrow road takes you to a lofty altitude of some 2,000 meters (local tour operators organize tours – so you don’t need a car). Once you arrive you know why this destination is so popular. The setting is really beautiful, the air is fresh and a modern visitors’ centre provides interesting information. Of course, Sungai Palas also has a tea house and a visit would be incomplete without trying a cup of highland tea and one of their lovely scones. 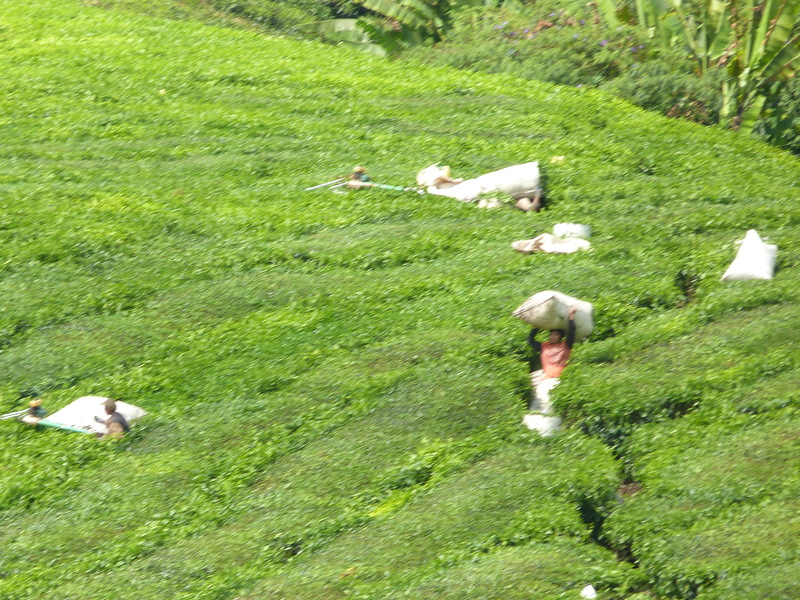 We also visited the tea factory where the tea leaves are processed in five steps after they have been harvested. 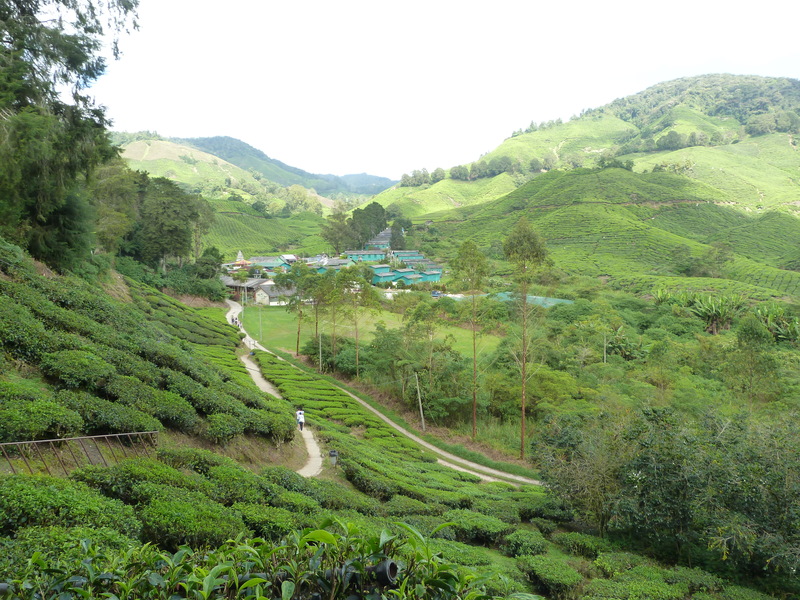 And of course we ended up buying tea from the Cameron Highlands that we took back with us to Kuala Lumpur. Unfortunately, we can’t promise you scones – but a cup of tea from Cameron Highlands is definitely waiting for you when you stay with us at The Nest. 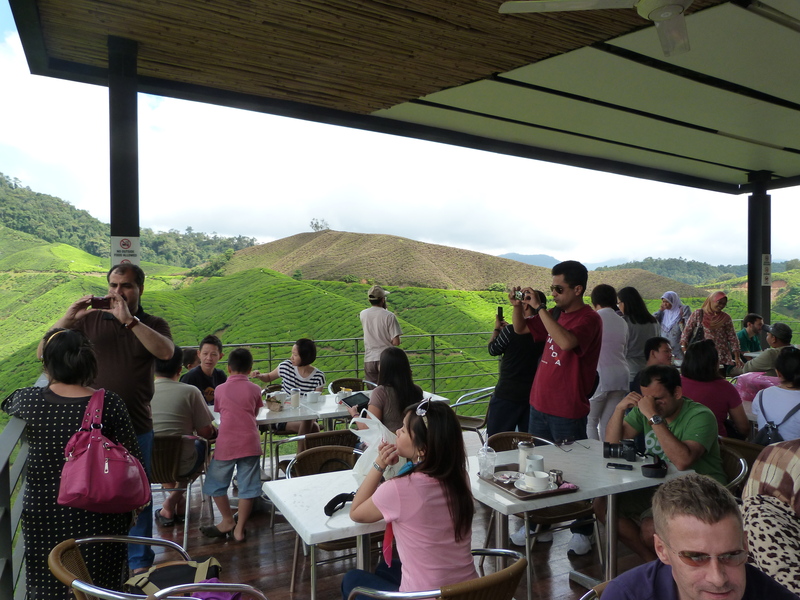 Tip: Sungai Palas Tea Plantation is open everyday except Monday from 9am until 4.30pm. 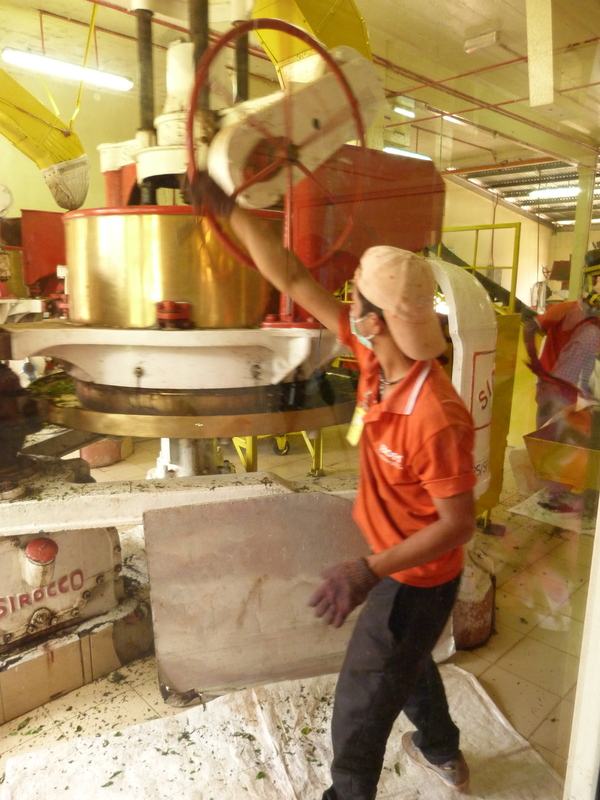 Factory tours are provided every 30 minutes and are free of charge. 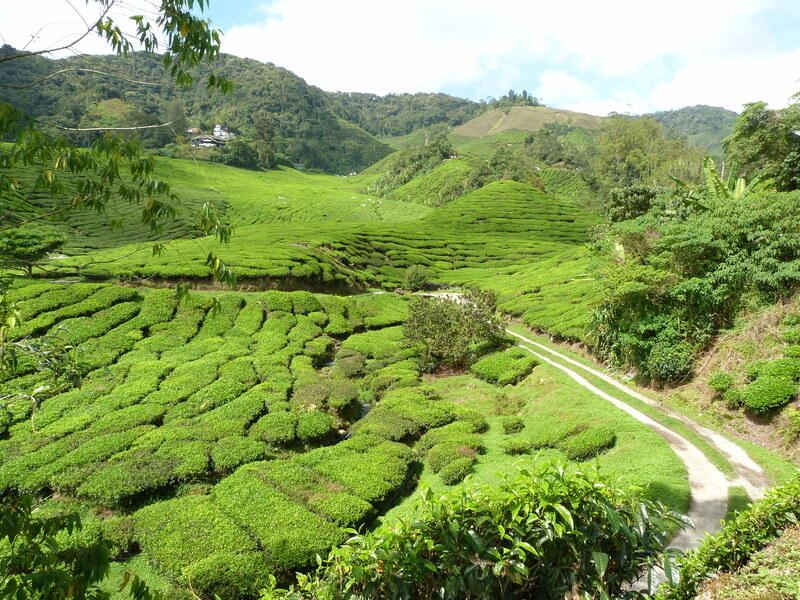 Cameron Highlands is all about relaxing. And that’s what we did. We stayed for 2 nights and thought this was just perfect. After we had dropped off our luggage in the hotel, we drove to Brinchang (the other township in the area) where we had excellent “Steam Boat” dinner at one of the roadside restaurants. 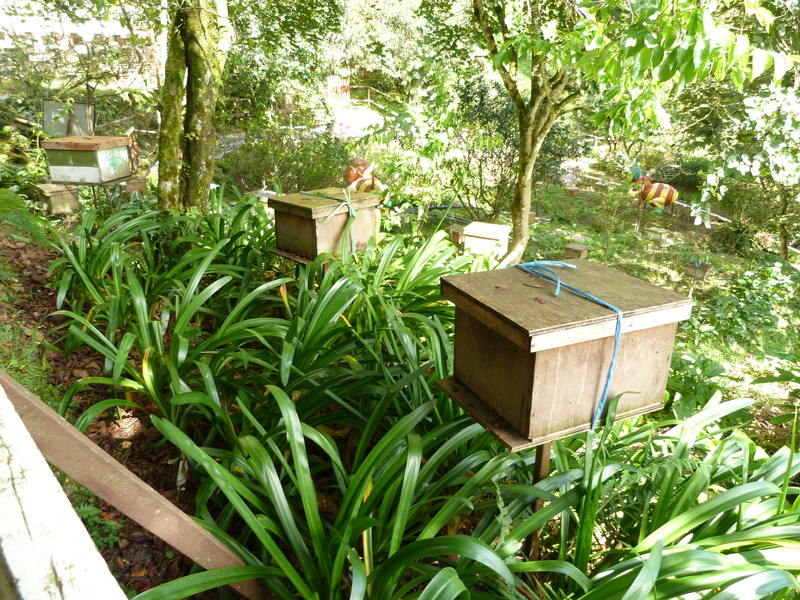 Brinchang also has a weekend market where you find honey, strawberries and other local produce. Speaking of which: strawberries are one of the most important crops in the Camerons. 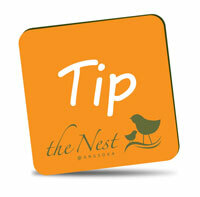 If you have time, visit one of the farms where you can pick your own fruits. 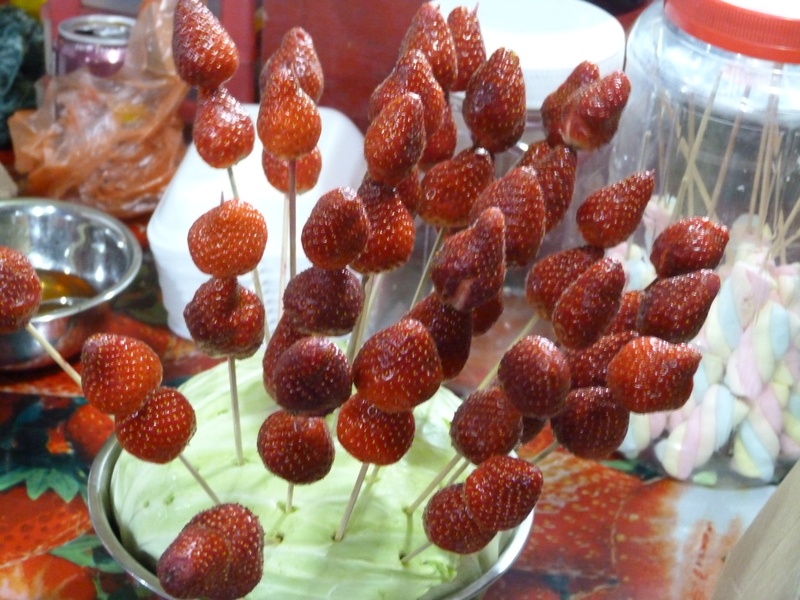 We opted for Big Red Strawberry Farm and were amazed by the endless variety of strawberry (derived) products that are sold there. From jam to body lotion, from milk eclairs to shampoo – this is strawberry paradise! After a quick stop at one of the bee farms we moved on to Sungei Palas Tea Plantation which turned out to be the absolute highlight of our trip (more on Sungei Palas and Boh Tea in our next blog entry). 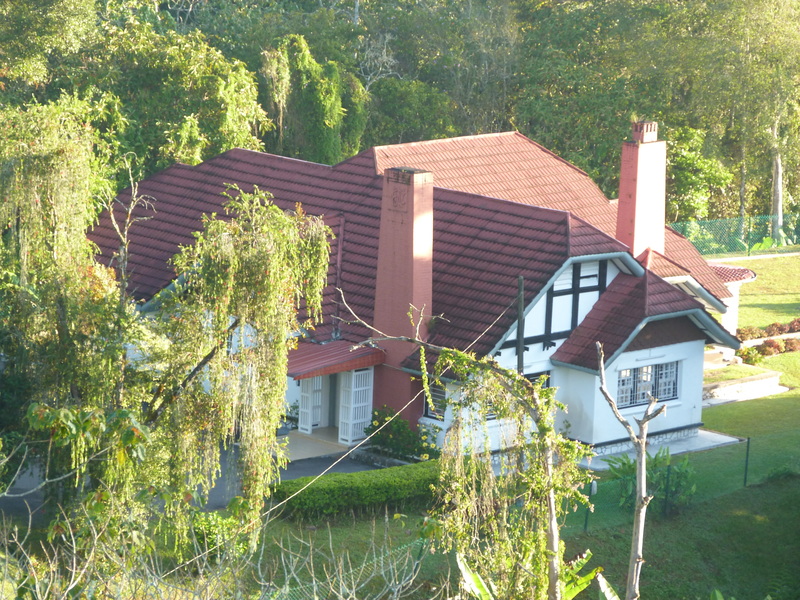 Forget about the other tea plantations – this is the place to go – and we are saying this not only because of the great scones and the tea that we enjoyed there. 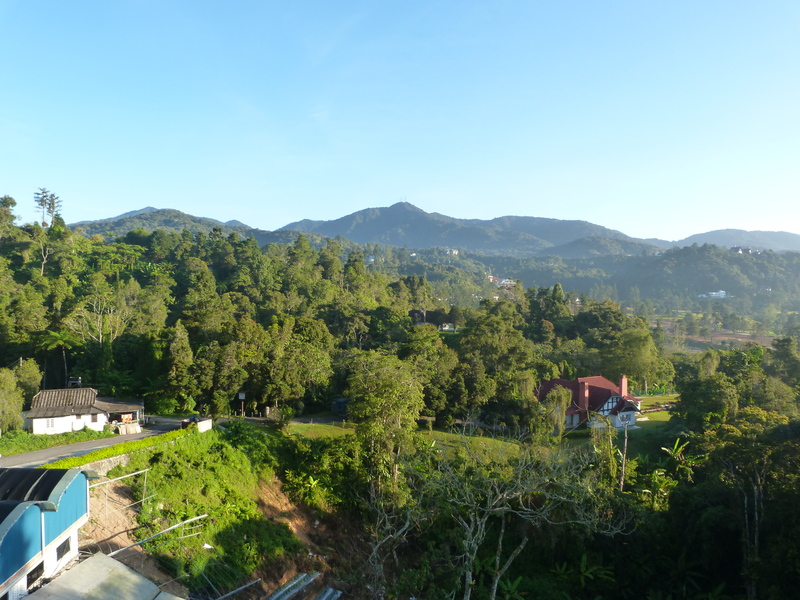 After we had returned to Tanah Rata we browsed through some of the souvenir shops where we found a most useful Cameron Highlands Discovery Map. 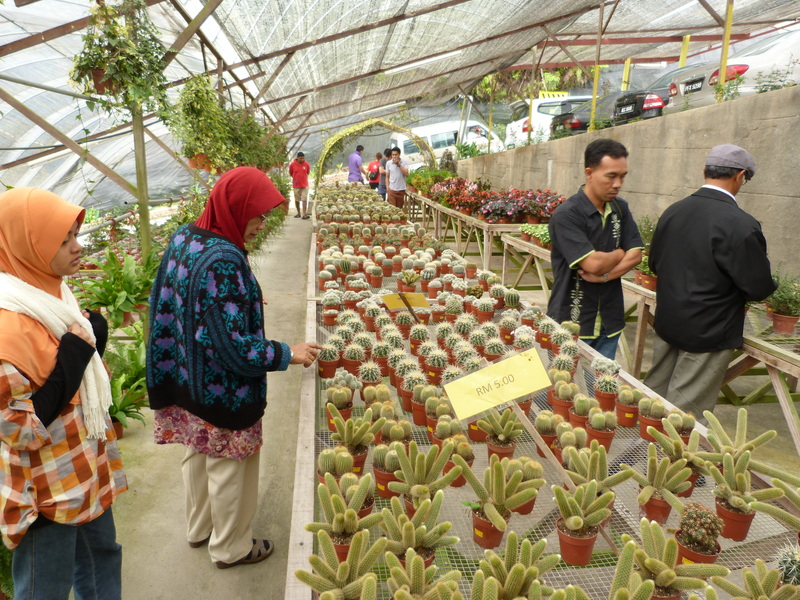 It only costs a few Ringgit and gives you a great overview of the area. We also discovered that local tour operators offer a number of day tours which allow even those who travel without car to explore the area. If you have time, sign up for one of the jungle trekking tours to discover the beauty of the mossy highland rainforest – you won’t regret it. 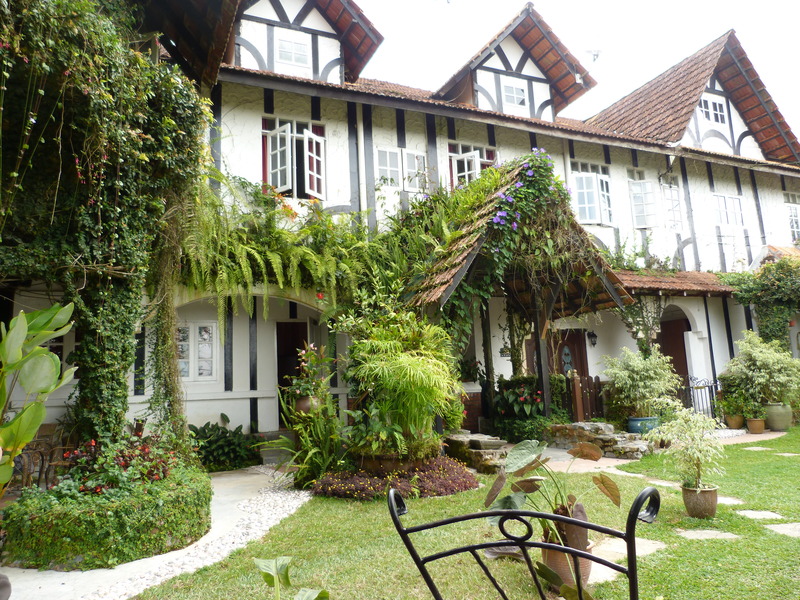 Where to stay: Cameron Highlands has an array of hotels and guesthouses that suit every pocket. For some odd reason, not all of them are listed on tripadvisor. 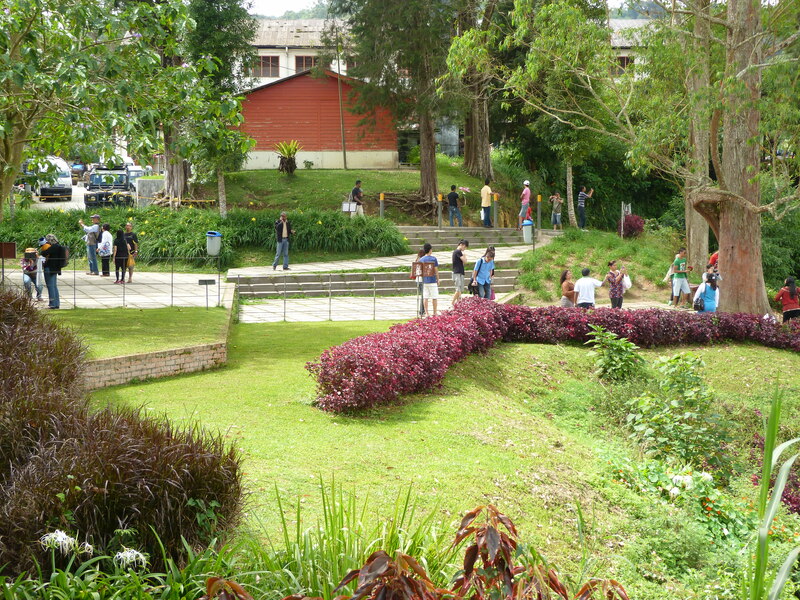 If you travel by bus, we recommend to look for accommodation somewhere in the centre of Tanah Rata. This way you are not only close to the bus station but can also choose from a bigger variety of places to hang out in the evening. Tripadvisor says “Bravo”! We say thank you! Malaysia holidays at a bargain!